Thanks for your interest in joining Omaha Restaurant Week – a celebration of Omaha’s unique and varied culinary scene. Your restaurant’s flavor will add to the 10-day belt-busting epicurean adventure for locals and out-of- town visitors. We are excited to work with you and your team to make this the most successful restaurant week to date. Please fill out the form and payment information below. 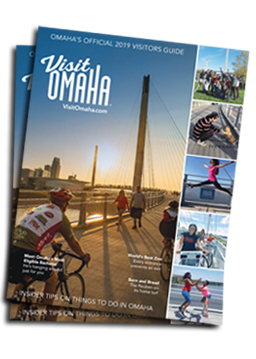 Feel free to review the participation guide here or contact Jasmyn Goodwin, jgoodwin@visitomaha.com, for questions or concerns. Omaha Restaurant Week is 10 nights, from Friday, September 14 – Sunday, September 23, 2018. Restaurants agree to price all ORW menus at $20, $30, $40, or $50 per person (excludes tax and gratuity). The selected price point should be a strong value for your restaurant. If your standard price point of a 3-course meal falls within or below the selected price point, we strongly suggest that you include a glass of wine, beer or cocktail beverage within the price point, or select a lower price point. Two $25 gift cards are collected for promotional and marketing efforts. Restaurants agree to donate 5% of all ORW menu item sales to Food Bank for the Heartland. It is the restaurant&apos;s responsibility to track sales and send in donations by the deadline, September 28, 2018. For more guidelines, please see the participation guide.